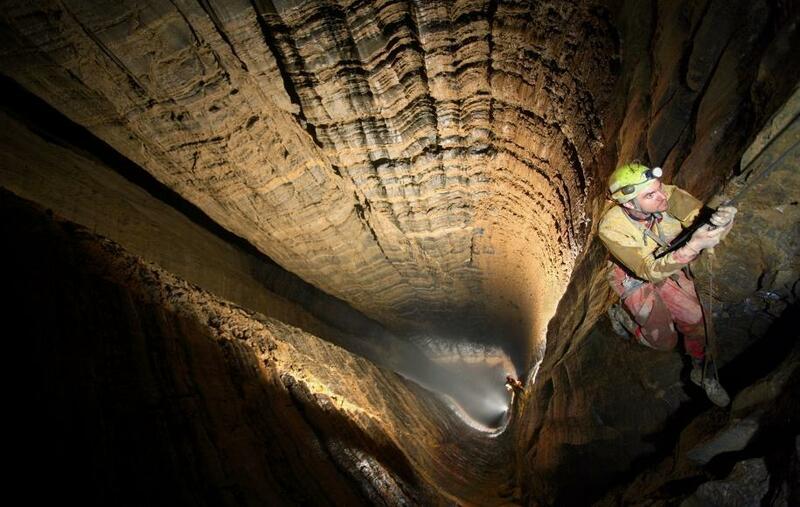 After seeing this image posted on reddit last week, I took a deep dive into the strange world of extreme caving. This image is big! Click through to see the whole thing. The Krubera Cave is the deepest in the world, descending 2,197 meters from its inconspicuous entrance to its deepest explored areas. 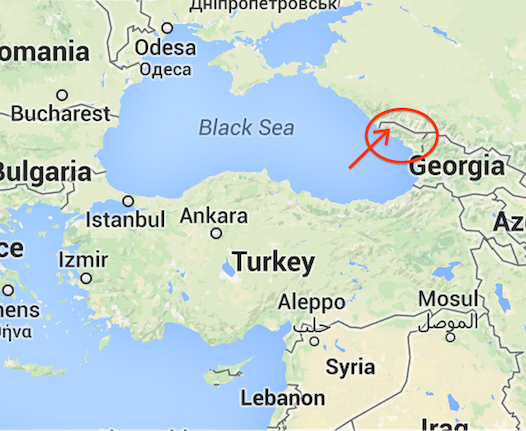 It’s located in Abkhazia, a breakaway territory in the Republic of Georgia. 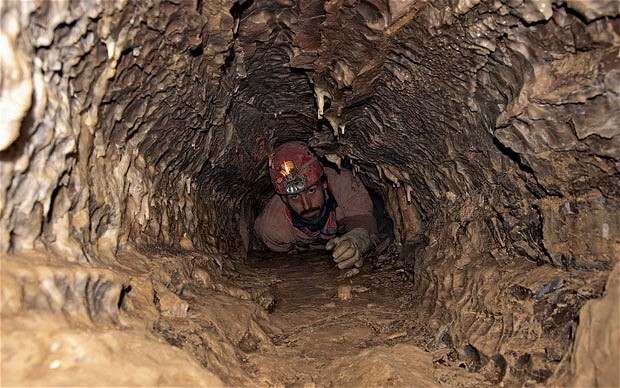 In some ways, caving is an even more extreme activity than high altitude climbing. Descending to the bottom of Krubera takes a team of dozens of people over a month, a month during which they’ll never see the sun. 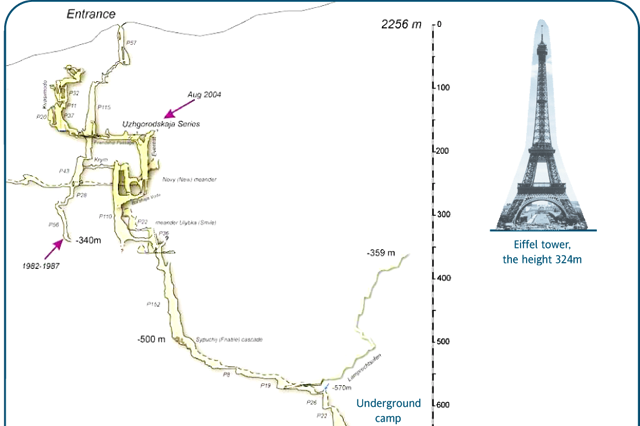 Previous expeditions had explored in other directions, because they didn’t have the necessary scuba equipment to explore past the siphon (carrying heavy equipment down 1400+ meters is challenging). The hope was that, if they dove through the water, there would be a dry “continuation” on the other side. A siphon is one thing that can stop an expedition. 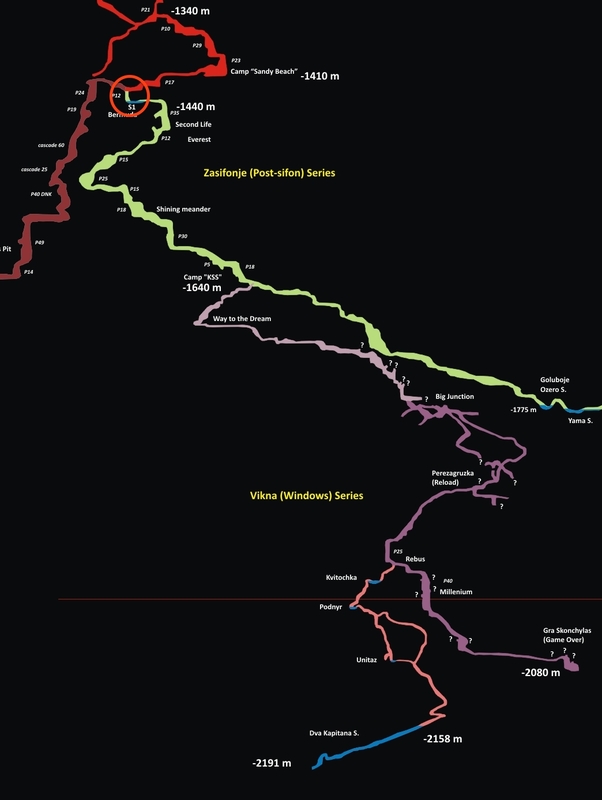 In the case of the 2003 expedition, they continued exploring until they literally ran out of ropes and carabiners. 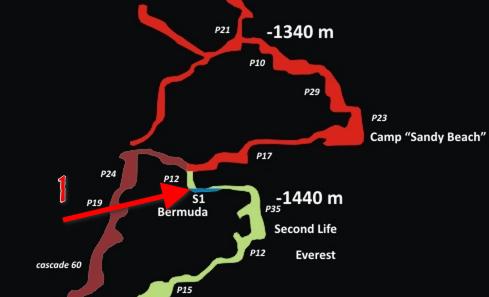 These seem to be the two limiting factors for exploratory spelunking: water and equipment. Why not just bring more equipment? Because rope is heavy, especially when it’s waterlogged (as it’s sure to be in the humid environment of caves). I’d highly, highly recommend watching the Russian documentary about the Krubera cave if you’re at all interested in this sort of thing. I don’t think caving is a hobby for me, but I’ll read news about caves with much greater interest now that I’ve watched this docu.